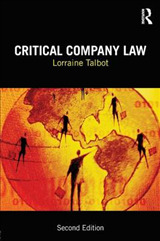 Dr Talbot traces the history of the fundamental principles of English company law, including the doctrine of separate corporate personality, director's duties, minority protection and the doctrine of ultra vires from both a black letter and contextual perspective. 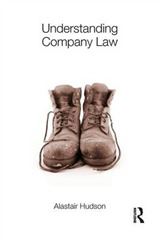 Relevant aspects of the Companies Act 2006 are thoroughly examined. 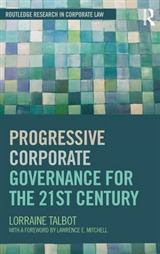 Drawing on the influence of American law and scholarship, the book considers the ideas which have informed corporate governance in England . 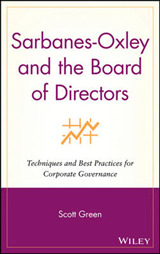 It includes a case study of mutual building societies' march to the market and corporate identity. 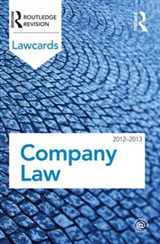 The hybrid approach adopted in the text provides a contextual and critical framework in which to understand company law as well as a broad picture in black letter law terms. The aim is to invigorate what many students and academics consider a dry subject by uncovering the social factors which continue to inform this area of law - and the political nature of the law itself. 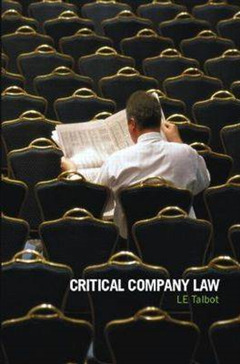 Dr Talbot maintains that modern company law is shaped by three main factors - economics, ideology and existing law. The state of the law at any one time is determined by the constantly shifting relationship between these factors.